Oster Ceramic Belgian Waffle Maker Just $15.99! Down From $27! 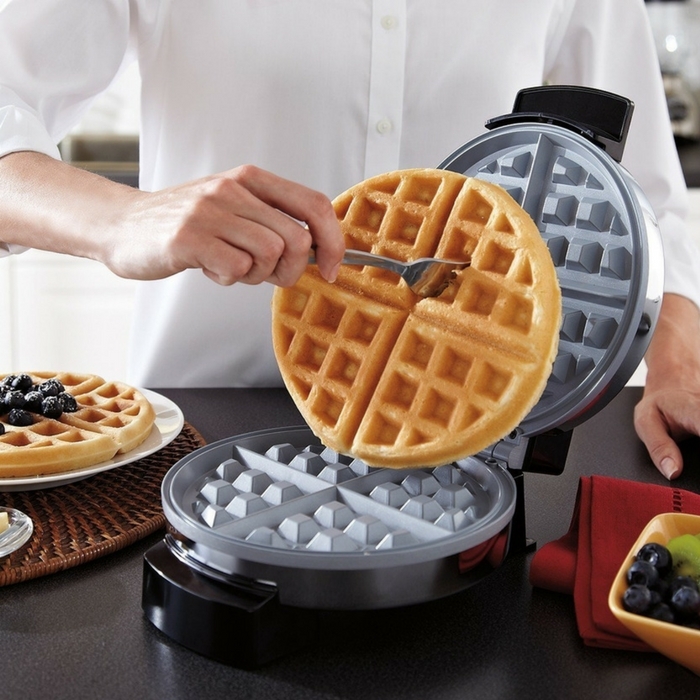 You are here: Home / Great Deals / Amazon Deals / Oster Ceramic Belgian Waffle Maker Just $15.99! Down From $27! If you love making waffles then you might find this in handy! Amazon is currently offering this Oster Ceramic Belgian Waffle Maker for just $15.99 down from $26.99 PLUS FREE shipping with Amazon Prime or for orders over $25! This flip waffle maker is designed to cook waffles to perfection. Adjustable temperature control accurately sets cooking temperature to achieve desired results from light, fluffy waffles to crispy, golden waffles! Nice!